LONDON: China may have put a technical hold and prevented the listing of Masood Azhar as ‘global terrorist’ at UNSC earlier this month. However, diplomatic efforts are still on to get the Jaish-e-Mohammad chief proscribed. According to Reuters news agency, the United States circulated a resolution – drafted with British and French support – to the 15-member council that would designate the JeM chief, subjecting him to an arms embargo, travel ban, and asset freeze, diplomats said. 14 out of 15 UNSC members in the sanction committee supported a ban on Masood. The latest move by US, France, and UK to bring resolution can help in banning Masood as it does not need consensus. It just needs votes of 9 members out 15. According to laws, a resolution does not need consensus but just support of 9 members, which is already there. If this resolution gets through, it can spell trouble for Masood and can be seen as a big diplomatic victory for India. 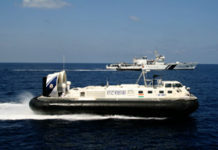 China has also indicated that it understands India’s concern on Masood and the issue will be resolved soon. Jaish-e-Mohammed has claimed responsibility for the February 14 Pulwama terror attack. Although India has handed over proof of its involvement to Pakistan, Islamabad has asked for more evidence. 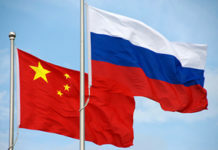 Instead of consensus, a resolution only needs nine votes in favour and no vetoes by China, Russia, the United States, France or Britain to pass. It was not immediately clear when the draft resolution to designate Azhar could be put to a vote. The Chinese mission to the United Nations did not immediately respond to a request for comment on the draft text. 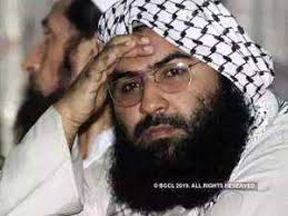 China on Thursday said the US has complicated the issue of listing Jaish-e-Mohammed (JeM) chief Masood Azhar as a global terrorist by moving a separate resolution at the UN Security Council (UNSC), bypassing the anti-terror committee in the UN itself where Beijing has repeatedly blocked the listing process.